The 48th Ordinary Session of the African Court on Human and Peoples' Rights has set for February 26 to March 23 at Arusha, the United Republic of Tanzania. The African Court Judges, among others, will examine over 15 applications during the four-week session scheduled. In an interview with the Ghana News Agency, Dr Robert Eno, African Court Registrar said the Court had jurisdiction over all cases and disputes submitted to it concerning the interpretation and application of the African Charter on Human and Peoples' Rights, (the Charter). It also focuses on the Protocol and any other relevant human rights instrument ratified by the States concerned, specifically, the African Court has two types of jurisdiction: contentious and advisory. Dr Eno explained that the African Court also has the powers to receive cases filed by the African Commission of Human and Peoples' Rights, State parties to the Protocol or African Intergovernmental Organisations. 'Non-Governmental Organisations with observer status before the African Commission and individuals can also institute cases directly before the African Court as long as the State against which they are complaining has deposited the Article 34 (6) declaration recognising the jurisdiction of the African Court to accept cases from individuals and NGOs. Dr Eno said the eleven Judges, who were nationals of Member States of the African Union elected in their individual capacity meet four times a year in Ordinary Sessions and may hold Extra-Ordinary Sessions. 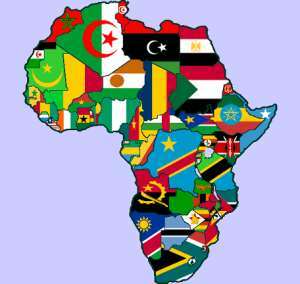 The Registrar said as at February 23, this year the African Court had received 161 applications and had finalised 32. The African Court is a continental court established by Member States of the AU by virtue of Article One of the Protocol to the African Charter on Human and People's Rights to ensure the protection of human and peoples' rights in Africa. The mandate of the African Court is to complement and reinforce the functions of the African Commission on Human and Peoples' Rights (the African Commission - often referred to as the Banjul Commission), which is a quasi-judicial body charged with monitoring the implementation of the Charter. The Protocol establishing the African Court was adopted on June 9, 1998 in Burkina Faso and came into force on January 25, 2004 after it was ratified by more than 15 countries.